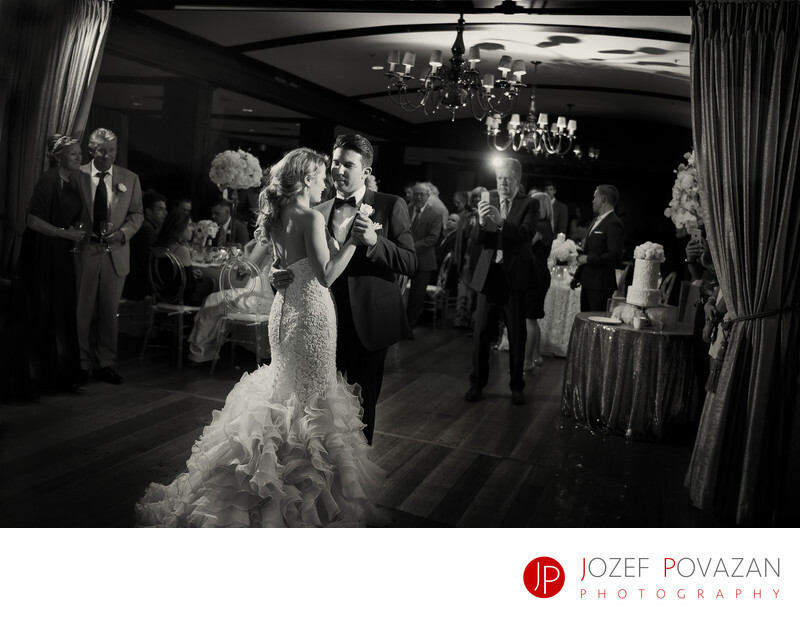 West Vancouver Capilano Golf club Greek Wedding romance - Best Vancouver wedding photographer Jozef Povazan Photography studio. West Vancouver Capilano Golf club Greek Wedding romance took place at one of the well hidden gems locations. Ceremony took place at Vancouver Greek Orthodox Cathedral. This unique architecture sacred place has a strong feel of European styles I am used to and it was a joy to photograph there. The reception took then place at majestic Capilano Golf club. The amazing greens on the top of the mountain road are hard to be forgotten once you were here. Just a short jump and you can be on the Grouse mountain gondola, but why would you if you can see it right from the patio view. Ballroom was decorated like a charm with white orchids and peony. First dance followed but stormy Greek's white scarf dance were thrilling and brought all the guests to watch it from close distance. Amazing couple and their families had a unforgettable day and night here. Creative wedding pictures for the right people. My wedding imagery style might be too much for someone taste but as a film lover I like a bit os drama and spiciness in them and more importantly brides and grooms who hire me to photograph them love them even more. Feel free to contact me if you would love to be photographed by me personally. Location: Capilano Golf club West vancouver, BC.